Power – far more than fact – determines what is defined as true in America, a nation that has become dangerously disconnected from reality in matters both trivial and important. On the more personal side is the case of New England Patriots quarterback Tom Brady, who has been defined by the powerful National Football League as a perjurer for denying under oath the NFL’s scientifically dubious charges that he was part of a scheme to slightly deflate footballs. On Monday, a federal appeals court ruled that NFL Commissioner Roger Goodell had the power to do to Brady or any other player pretty much whatever Goodell wants in acting as judge, jury and executioner. In the Brady case, the NFL and Goodell were the stronger parties, so they got to define the reality as far as the major U.S. media was concerned, depicting Brady as a liar and cheater although there was no direct evidence that any footballs had actually been deflated. NFL officials, who launched the brouhaha known as “Deflategate,” admitted that they didn’t know that cold air and moisture reduce a football’s internal air pressure. They simply assumed that the drop in PSI, detected at the halftime of the AFC Championship game more than a year ago, could only come from letting air out of the balls. Once the vendetta got started, however, it took on a life of its own. In the major U.S. media, the NFL and Goodell controlled the narrative and – with rival NFL owners playing a significant behind-the-scenes role – engineered both a four-game suspension of Brady and the stripping of draft picks from the Patriots. Despite many scientific experts challenging the NFL’s sloppy scientific claims, the U.S. media – from The New York Times to ESPN – took the NFL’s side while fans of other teams joined in the mocking of Brady and laughing at any attempts to apply science and reason to the case. 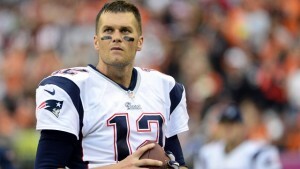 Image: New England Patriot quarterback Tom Brady. The NFL and Goodell were allowed to decide what was “true” despite their corrupt role in covering up the dangers from concussions to players. 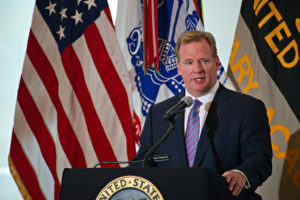 In other words, the NFL’s history of lying on a matter as consequential as the safety of all football players – both amateur and professional – was not taken into account when balancing the league’s credibility against the denials of Brady and two locker-room assistants linked to the supposed scheme to intentionally deflate footballs. And, despite all the time and attention this silly scandal absorbed, there was almost no examination of the science involved and no one in the major U.S. media looked at the conflict of interest in rival NFL owners on the NFL’s Management Council pressing Goodell to impose harsh penalties against Brady and the Patriots. The Management Council controls whether Goodell gets to keep his $35 million job and these rival owners made anti-Brady recommendations to Goodell as he was considering Brady’s initial appeal of his suspension, according to Goodell’s own appeals decision. 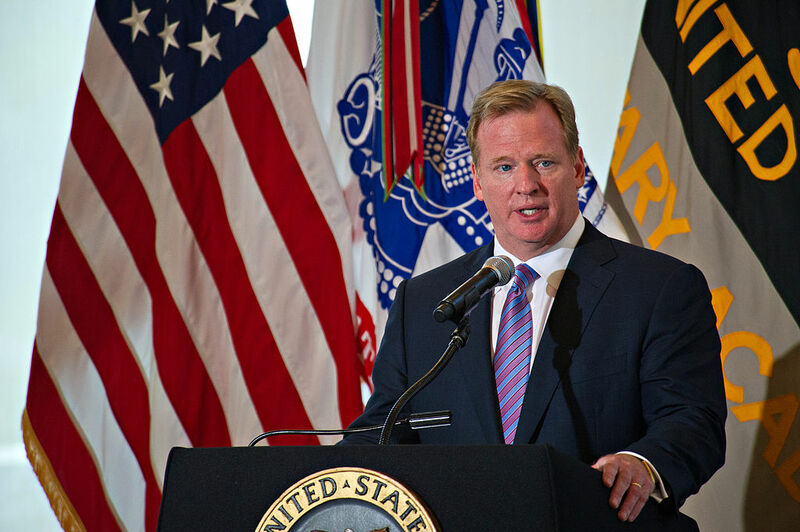 After Goodell rejected Brady’s appeal – calling Brady’s sworn testimony false – the NFL got to choose which federal court would handle the case, picking one in New York that was known to be heavily pro-management. Although District Court Judge Richard Berman last year overturned Brady’s four-game suspension on largely technical grounds, the deck was stacked against the player when the NFL appealed. On a far more serious level, there’s the tragic case of MH-17, which has been thrust back into the news by British press reports about an upcoming BBC documentary that cites seven eyewitnesses in Ukraine who reported seeing a warplane in the vicinity on July 17, 2014, just before MH-17 was shot down – and one witness saying he saw the warplane firing what looked like an air-to-air missile. That account, if taken seriously, would put another chink in the West’s narrative absolving the U.S.-backed Ukrainian government of any responsibility and blaming ethnic Russian rebels and Putin. In the MH-17 equation, the rebels and Putin have been the weaker parties, subject of an intense U.S.-led propaganda campaign aimed at getting Europe to impose economic sanctions that serve a larger neoconservative goal of weakening and destabilizing Russia. So, at the time of the shoot-down, eyewitness reports from Ukraine of people seeing one or two Ukrainian warplanes in the sky – a claim apparently backed up by Russian radar – were dismissed in Western media. 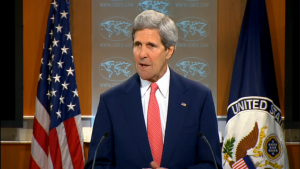 The Ukrainian government claimed it had no warplanes in the area and that assertion was widely accepted in the West. But the regime had turned off its primary radar systems over the area supposedly for reasons of malfunction and maintenance. That left only Ukraine’s secondary radar, which tracked aircraft equipped with transponders such as commercial flights but would not show military aircraft, which don’t identify themselves with transponders for obvious reasons of stealth. The Russians said their radar, looking into Ukraine, appeared to detect a possible warplane approaching MH-17, but they said their primary radar was not saved because it was outside their jurisdiction. They offered only the visual screen images, which Western investigators discounted. However, within days of the shoot-down, the official U.S. story blaming Russia and what U.S. intelligence was discovering sharply diverged, a source briefed by U.S. intelligence analysts told me. The source said U.S. spy data revealed what looked like an ambush by a Ukrainian warplane and a ground-to-air missile fired by a rogue element of the Ukrainian military associated with a hardline Ukrainian oligarch. 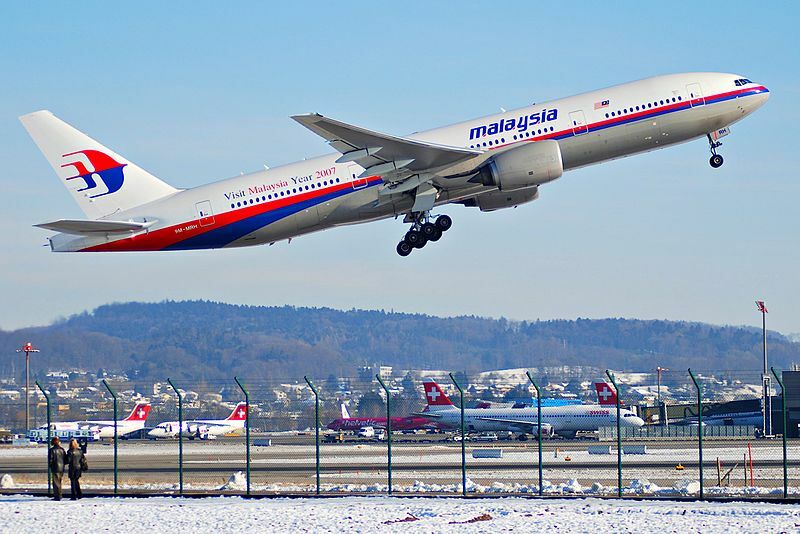 Image: A side-by-side comparison of the Russian presidential jetliner and the Malaysia Airlines plane. 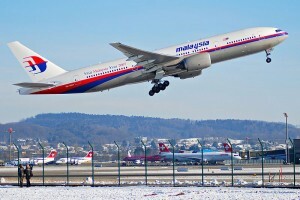 The source said CIA analysts gave serious weight to the possibility that the attack was originally intended to kill President Putin who was returning from a state visit to South America aboard his official plane with markings similar to MH-17. But this analysis contradicted the out-of-the-gate public statements by Secretary of State John Kerry and other senior U.S. officials and thus, the source said, would “reverse the narrative,” making the pro-U.S. Ukrainians look like the bad guys and the Russians not so much. So, if the source’s information is correct, the needs of America’s global power took precedence over any mandate for honesty in reporting the facts to the American people and the world’s public, including the families of the MH-17 victims. 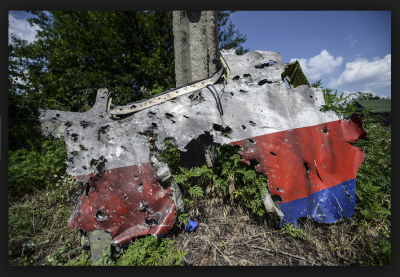 Since summer 2014, the MH-17 investigation has moved at a glacial pace with the Dutch Safety Board (DSB) and a Dutch criminal investigation still not issuing any official findings as to who was responsible. Meanwhile, the U.S. government continues to withhold the data that Secretary Kerry cited shortly after the crash, which he claimed implicated the rebels and Russia. 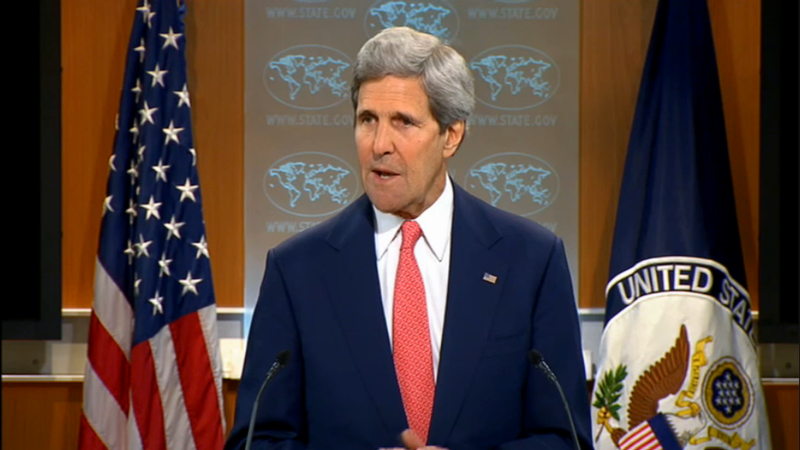 While Kerry declared that the U.S. government knew almost immediately where the ground-to-air missile was fired, the Dutch Safety Board report last October could only put the firing location within a 320-square-kilometer area (covering both government and rebel territory) and a Dutch intelligence report stated that the only operational missiles in the area capable of downing a plane at 33,000 feet were controlled by the Ukrainian military. But the Western media still reports routinely that a “Russian-made” Buk missile was fired from rebel territory, leaving the public impression that the Russians were responsible (although the “Russian-made” element was always misleading because the Ukrainian military also uses “Russian-made” equipment).